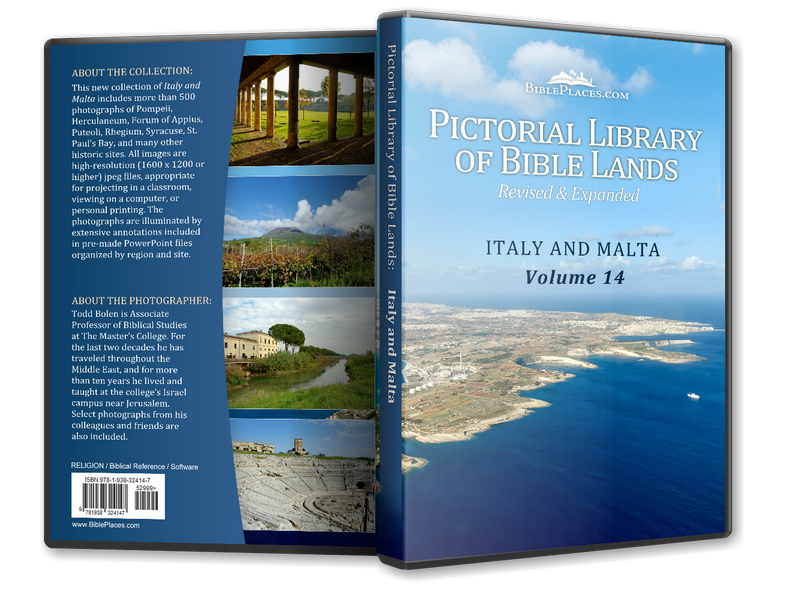 Built above a natural cave, or grotto, the Church of St. Paul memorializes the tradition that this as the place where Paul remained for the three months while he was on the island of Malta. 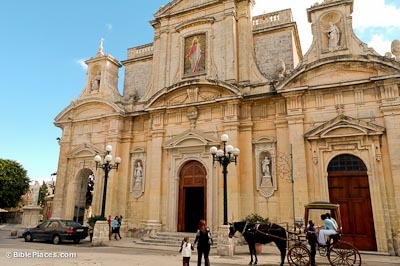 The church was built in the 17th-century, and its construction was funded by Cosmana Navarra, a noblewoman from Rabat. Catacombs, also called hypogea, are subterranean burial complexes and are found throughout the Mediterranean. There are three catacombs in Rabat: St. Cataldus’ Catacombs, St. Agatha’s Catacombs, and St. Paul’s Catacombs. St. Paul’s Catacombs are so-named because of their close proximity to the grotto beneath the Church of St. Paul. 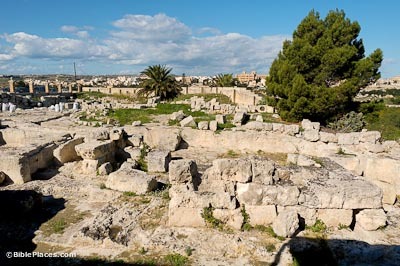 The catacombs originally stood outside the Roman period city walls that enclosed Mdina and part of Rabat. 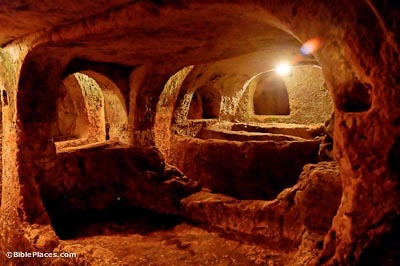 Dating to around the 4th century AD, the complex of St. Paul’s Catacombs consists of a main crypt, a chapel with altar, and an extensive system of passageways. The catacomb complex covers an area of over 21,500 square feet (2000 sq. m) and could accommodate the burial of 1,000 individuals. 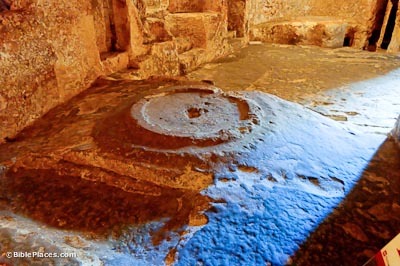 In the main crypt are two rock-hewn triclinia, or round tables with semi-circular benches, used for funerary meals. Christians used the catacombs for services, and it is thought that the Lord’s Supper was celebrated on these tables. A wealthy Roman residence, or domus, was discovered on the site of the archaeological museum in Rabat. Excavations revealed remarkably fine polychrome mosaic pavements and architectural elements characteristic of a Roman house, such as four large rectangular rooms incorporating a peristyle, a portico, and four cisterns. The statues, inscriptions, coins, and glass objects indicate this was a Roman domus that must have been inhabited by a wealthy Roman family. The house dates to ca. AD 50.